As the incoming president of St. Mary’s County Chamber of Commerce, Roberta Loker was sitting front at center at this year’s annual Legislative Breakfast hosted by the chamber. One legislator left saying he wouldn’t sit at the same table as another. Another candidate couldn’t make the event and sent someone else. And none of the candidates addressed any of the pressing issues she sees facing her northern county community. Eschewing toeing a party-line, Loker called Republican Governor Larry Hogan a “great governor,” noting his connection to St. Mary’s County. His daughter works in the St. Mary’s County States Attorney’s Office. “All four of our state representatives are Republican. And they are all up for election,” she went on. “This is the time to bring it back home.” But instead, she said, “nothing” was presented at the breakfast was relevant to local needs. 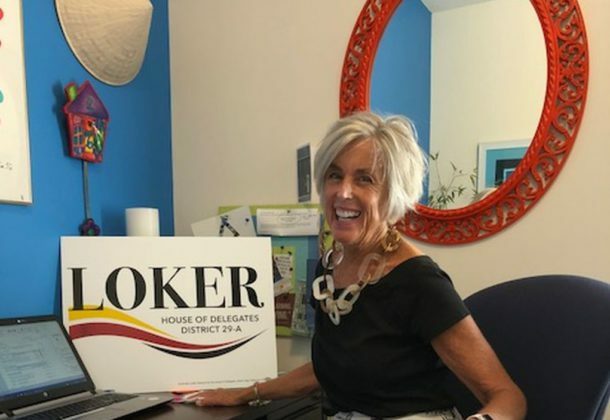 And although she considered at the time filing to run for election, it ended up that she instead spent the Tuesday filing deadline helping with Leadership Southern Maryland’s human services day. This is the day where members of each leadership class are invited to lunch at the Church of the Ascension on Great Mills Road in Lexington Park, MD. Rob Plant of Elements Restaurant serves the lunch. But while one table is set with linen and silverware and a full meal, there are other tables with only sandwiches, there is a table with only water. There is a table with nothing. When Democratic Central Committee members interviewed her about filing the empty slot on their ticket for Delegate for 29A to represent northern St. Mary’s County in Annapolis she was ready to say yes. While legislators in state houses and federal offices might not be making progress, she echoes a growing number of voices across the nation pointing to community initiatives that are solving problems on their own in their hometowns. Golden Beach is one of her examples within the district she seeks to represent. “Golden Beach is taking back their community,” she said of the sprawling suburb on the Patuxent River that for decades has drawn commuters from more urbanized areas to the north into a more rural hometown. “I’m all about us taking care of ourselves. 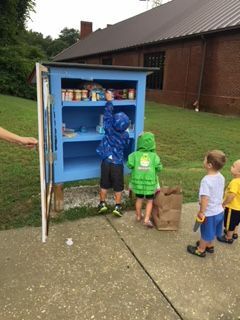 Let’s see what’s going on now, let’s partner to solve it.” Partnering, she said, is what happened at the Charlotte Hall Library where Eagle Scouts and the local Mom’s Club worked with the library to build a small pantry there. Those who have, can give to the pantry and can drop off items that those who need can pick up. She finds the Affordable Care Act is a good starting point for conversations. She tells the story of a woman who divorced in her 50s and lost her health care. She is currently paying $1,700 a month for insurance. “We can do better than this,” she repeated. We need leaders who don’t separate us from one another but who bring solutions forward to help everyone.